Memorizing the Quran looks like too big a project to you ? You are not alone ! Please come and try out some of the really detailed and free recitation lessons you find listed below, ready to download unto your computer or mp3 player. They come in sets of 10 verses and are especially designed to fit even today’s most busy person ! The tajweed rules, which allow us to recite correctly and therefore get as close as one can get to hearing the original sound of the revelation these words carry, are explained one by one on the fly, and are repeated often and often. We’ll start our project here with part 30 of the Holy Quran, which is called Juz Amma, after the first word of its first surah, An-naba, sura 78. 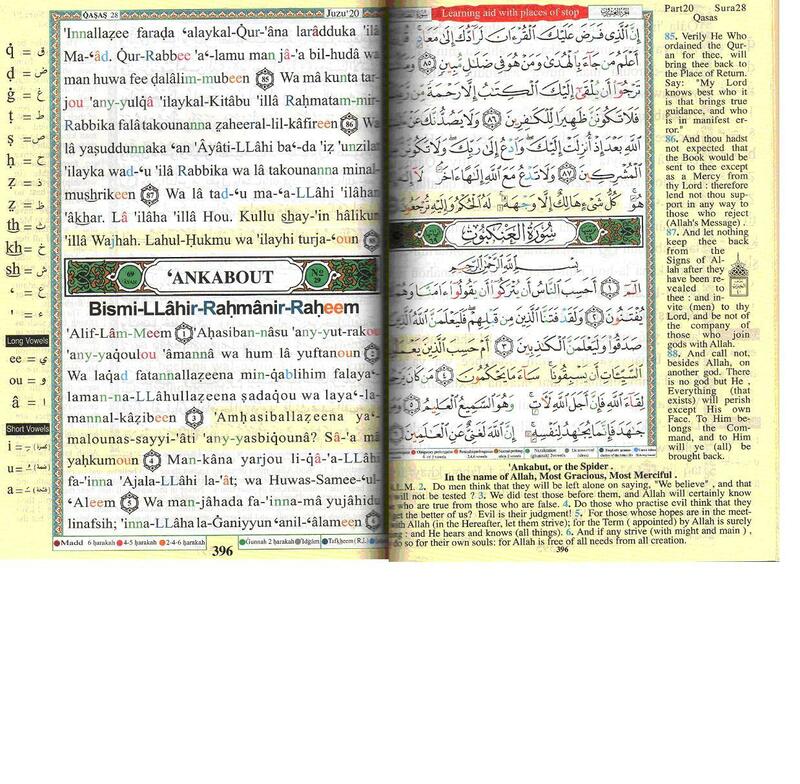 Try to get a real big lettertype mushaf (= printed Quran) in front of you as you listen to the lessons, as this will help you recognize the tajweed rules even easier, especially if you have the color coded version sold by Dar al maarifah, like the one you can see here . As you may know, some sounds have to be prolonged, some nazalised, and some letters even almost or completely dissapear into neighbouring ones – you’ll learn all this and more by just listening attentively to our lessons. Please contact us if you need any help in finding a printed Qur’an that has the features you need. And do come back soon to check for more - don’t forget to refresh your page regularly, otherwise you might miss out on some new ones that have just been added. You’ll find the lessons themselves on the first row, and the recitation only file from verse 1 upto the last one of the lesson above it, on the second row. This will help you verse you to easily build up your memory step by step. We wish you the best of succes in memorizing this part of the Holy Qur’an correctly (here in the hafs style), and invite you to write us a message if you wish to have any further assistance. You could for example enjoy some really to-the-point personal advice from Abuhaamed by taking some free online lessons with him on msn or skype, or even make a deal with him to check your own recorded audio files, and send them back to you with his remarks !!! Just use the mail form below the lessons … you are most welcome !